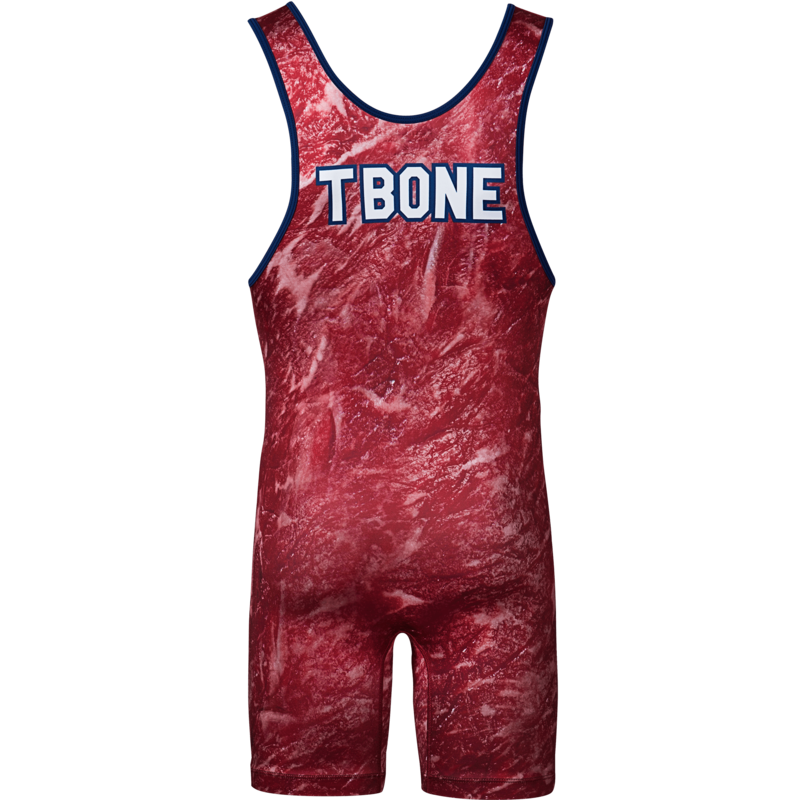 WrestlingMart’s TBone singlet is only for the best of the best: the USDA certified prime athletes. If there’s one thing wrestlers think about more than anything, it’s food. All season, we dream about all the amazing meals we’re going to have after season or after the tournament. 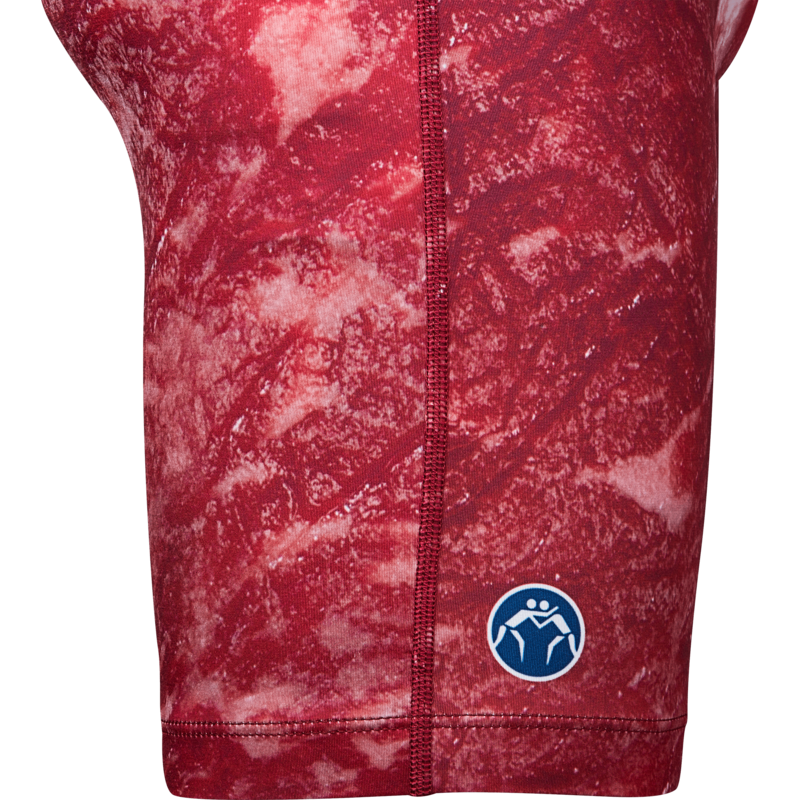 For many of us, that day dream involves a nice, juicy T-Bone steak dinner. And that beats protein bars and rice cakes any day of the week. 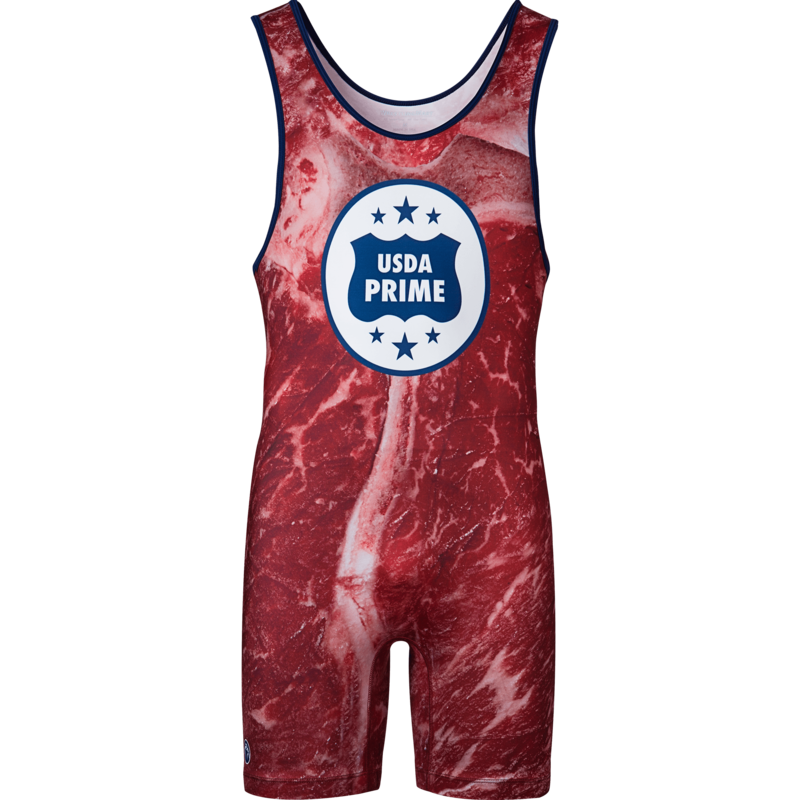 Here at WrestlingMart, we have mastered our singlet designs down to a science, in terms of shape, fabric, and fit. 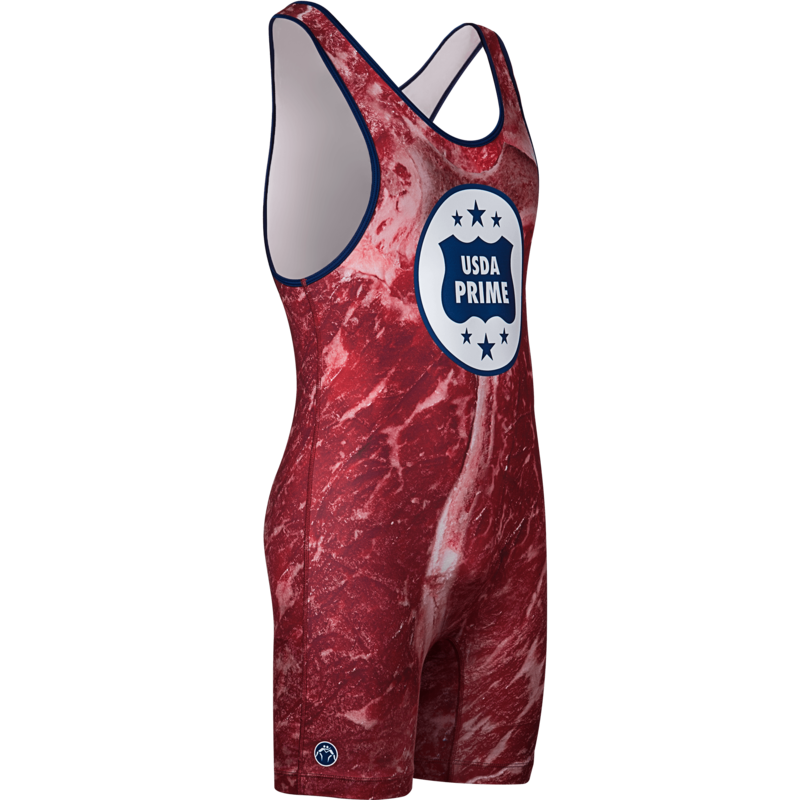 We spent about two years researching, testing, and developing our own WrestlingMart brand singlets to give our customers something we weren’t seeing in the market: amazing quality at a great price. We got down to the nitty gritty, making sure they fit well on all body types, that the fabric stretches appropriately, and that overall they feel amazing. 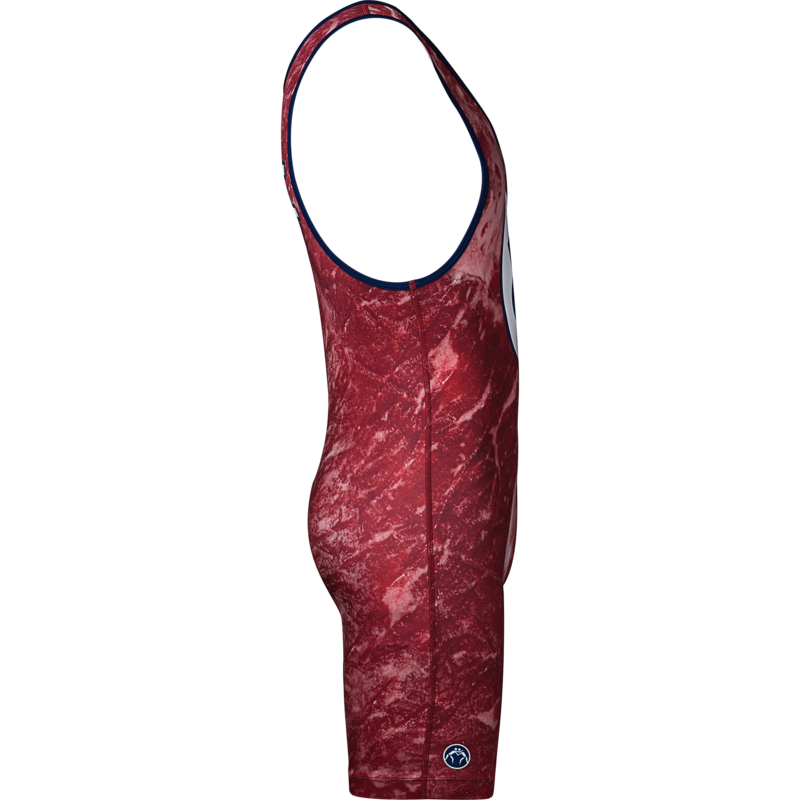 Our singlets are made of a medium poly/spandex Lycra fabric that is highly durable yet light and stretchy enough to form to your body and allow for a full range of motion. The anti-odor and moisture-wicking properties will keep you cool, dry, and feeling fresh all day, even in your toughest matches.